Summary: Researchers report they have uncovered a gene responsible for brain development and also discovered how it may work. This is an immunostaining after two weeks of differentiation of neural progenitor cells into neurons. NeuroscienceNews.com image is credited to Neha Rani. Image Source: This NeuroscienceNews.com image is credited to Neha Rani. UC Sant Barbara. “Gene Critical For Human Brain Development Identified.” NeuroscienceNews. NeuroscienceNews, 2 June 2026. UC Sant Barbara. “Gene Critical For Human Brain Development Identified.” http://neurosciencenews.com/neurodevelopment-genetics-4361/ (accessed June 2, 2026). Long non-coding RNAs (lncRNAs) are a diverse and poorly conserved category of transcripts that have expanded greatly in primates, particularly in the brain. We identified an lncRNA, which has acquired 16 microRNA response elements for miR-143-3p in the Catarrhini branch of primates. 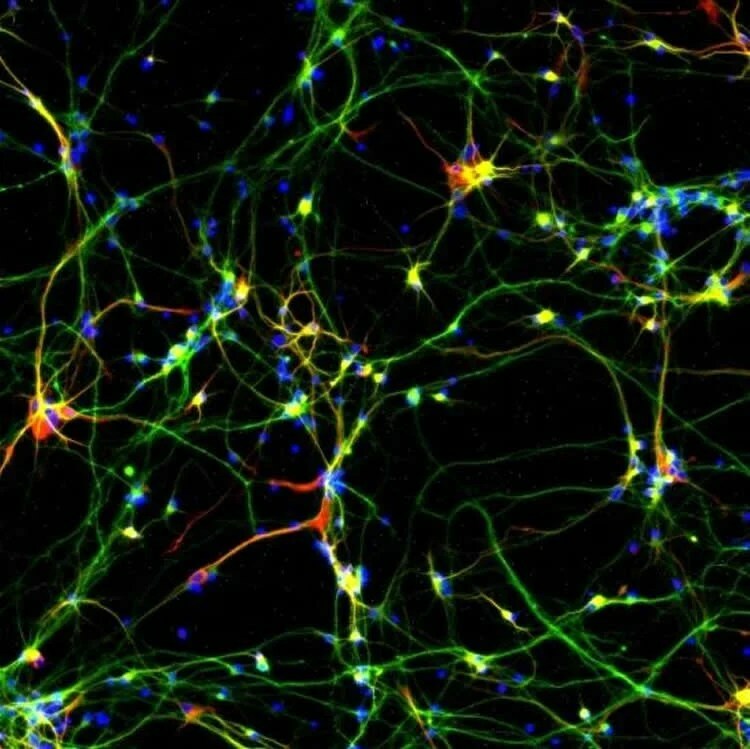 This lncRNA, termed LncND (neurodevelopment), is expressed in neural progenitor cells and then declines in neurons. Binding and release of miR-143-3p by LncND control the expression of Notch receptors. LncND expression is enriched in radial glia cells (RGCs) in the ventricular and subventricular zones of developing human brain. Downregulation in neuroblastoma cells reduced cell proliferation and induced neuronal differentiation, an effect phenocopied by miR-143-3p overexpression. Gain of function of LncND in developing mouse cortex led to an expansion of PAX6+ RGCs. These findings support a role for LncND in miRNA-mediated regulation of Notch signaling within the neural progenitor pool in primates that may have contributed to the expansion of cerebral cortex.